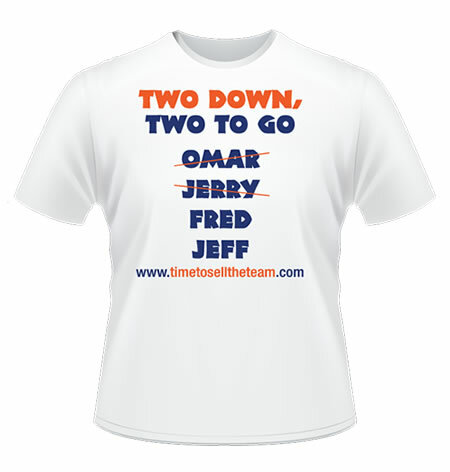 The time for the Wilpons to sell the REST OF the NY Mets is NOW. Join the movement! 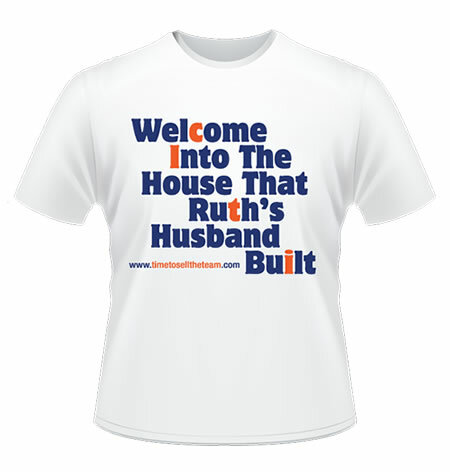 If you are a frustrated Mets fan then our shirts will help you express that frustration. 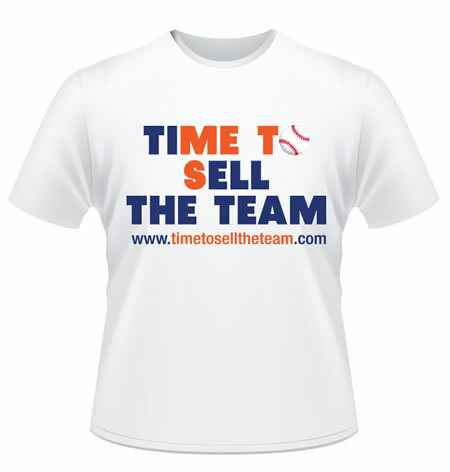 TimeToSellTheTeam.com is about motivating the Wilpons to realize that the time to sell the rest of the Mets in TOTAL is now. Anything less than selling their entire majority stake in the team and hitting the road is unacceptable. They claim to care greatly about the team and want it to succeed. They want to bring a World Series Championship to the Mets. Their time to do so has come and gone. Help us motivate them to sell the team. 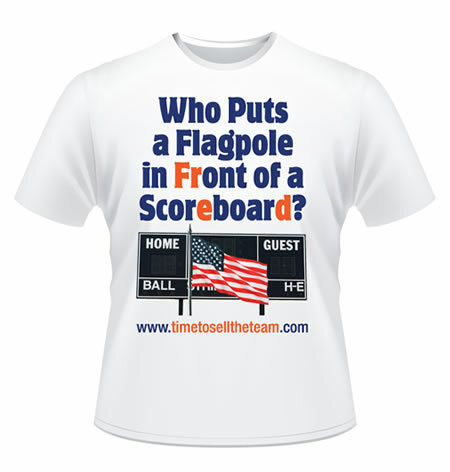 Buy a shirt for $19.86 (as in the last year we won a World Series) and sign our petition today!